“Episcopal Relief & Development owes its continued growth to the compassion and generosity of Episcopalians throughout the Church. I am more grateful than I can possibly express,” said Rob Radtke, the organization’s President & CEO. 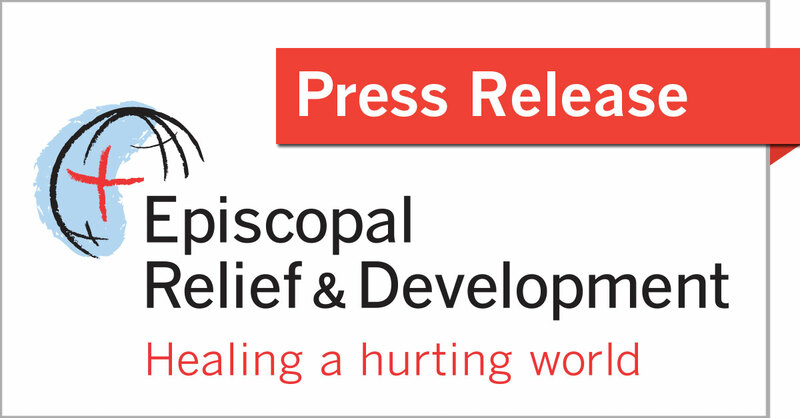 New York, NY- Episcopal Relief & Development will use its presence at the 79th General Convention of the Episcopal Church in Austin to thank the Episcopal Church for over 75 years of generous support. Collaborating with Anglican and ecumenical partners, Episcopal Relief & Development serves more than 3 million people annually. On behalf of the Episcopal Church, it works to facilitate healthier, more fulfilling lives in communities struggling with hunger, poverty, disaster and disease. The agency’s booth presence in the General Convention exhibit hall showcases eight-foot tall coloring book panels featuring some of the most memorable images of their worldwide work. Visitors to the booth will be invited to consider the depth of Episcopal Relief & Development’s mission by coloring the booth itself. The objective is to provide a fun and meaningful way to engage with the work. For the first time, Episcopal Relief & Development and the Episcopal Church are inviting attendees to offset the carbon footprint created by their attendance at General Convention. By making a contribution to Episcopal Relief & Development’s Climate Fund, Episcopalians and other friends empower the organization’s worldwide partners who are implementing climate-smart agriculture, water harvesting and tree planting programs. For example, for every dollar contributed, one tree can be planted. Those who stop by booth 401 to donate, receive a Green Footprint button made of recycled material to show their support. "General Convention is a huge endeavor, requiring thousands of people to travel by plane, train and automobile to a place that requires air conditioning, lights and electric-powered equipment so that we can conduct our business in comfort. Hotel rooms and restaurant meals are also responsible for a great deal of carbon production. With one $25 donation to our Climate Fund, we are offering each person the opportunity to offset the carbon of a typical attendee," said Josephine Hicks, the agency’s Vice President, Episcopal Church Programs. Anyone can donate online at http://www.episcopalrelief.org/green. Faith Communities Uniting to End Violence Against Women And Children, with guest panelists Rachel Carnegie, Co-Director of the Anglican Alliance and Kirsten Laursen Muth, Special Advisor, International Programs, Episcopal Relief & Development, July 6, 12:30 p.m. – 1:15 p.m. The Episcopal Asset Map as a Tool for Evangelism, with Tamara Plummer, Asset Map Coordinator, Episcopal Relief & Development, July 10, 1:15 p.m. – 2:00 p.m.
Convention attendees are invited to stop by the booth to relax and enjoy free samples of fair trade coffee and chocolate from the organization’s partner, Equal Exchange. Operating in a manner aligned with Episcopal Relief & Development’s asset-based methodology, Equal Exchange pays their partner farmers with above-market prices for crops so they can invest in community and educational programs. Sample-sized pours of the lightly roasted African Roots, the dark roast Love Buzz, a full city roast, Organic Breakfast Blend and a medium decaf will be available as well as a variety of chocolates. 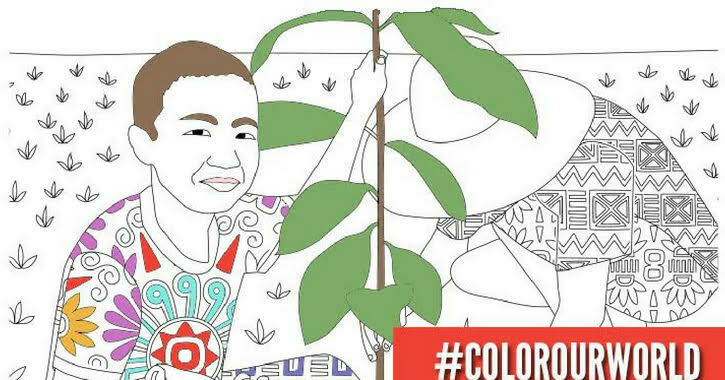 Special opportunities and programs will be shared on social media throughout General Convention, and all Episcopalians and friends are welcome to join the conversation using hashtags #EpiscopalRelief and #ColorOurWorld.